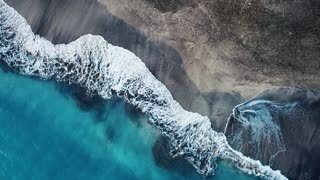 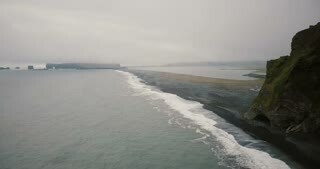 Aerial view of the black volcanic beach and mountains near the sea in Iceland. 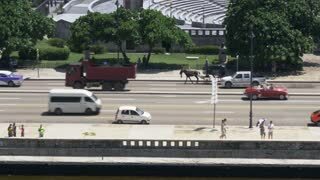 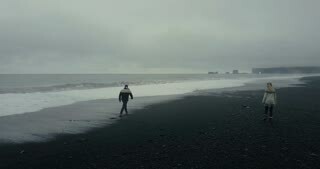 Crowd of tourist walking on the shore. 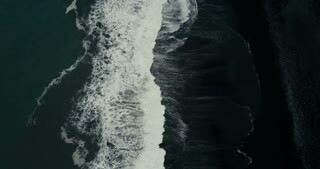 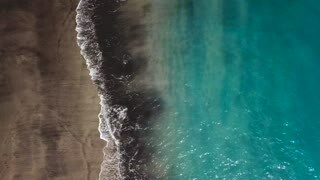 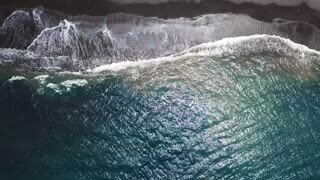 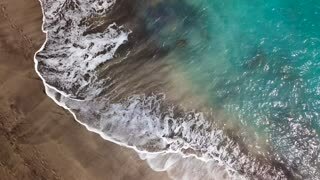 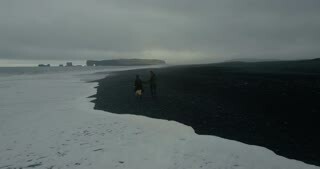 Aerial view of the hipster couple walking on the shore of the sea, in black volcanic beach in Iceland together. 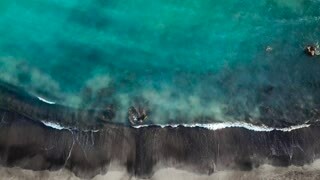 Aerial top view of the young couple standing on the shore of the sea in black volcanic beach and enjoying the view.